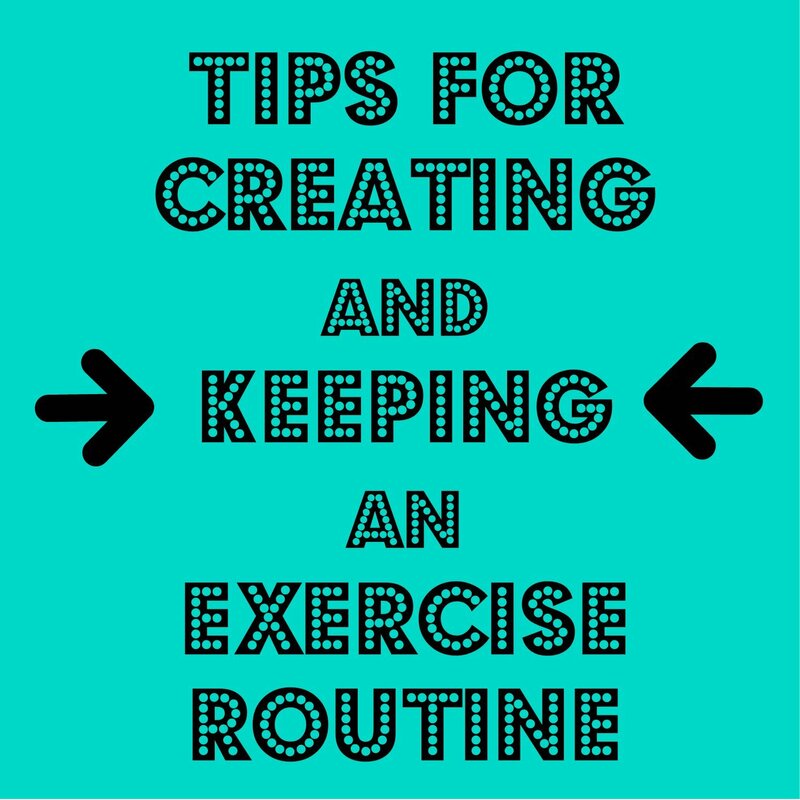 Simple tips for creating and sticking with an exercise routine. Back in 2013 I formed Healthy Habits, a place where you can access free resources and practical tips for living a healthier lifestyle. 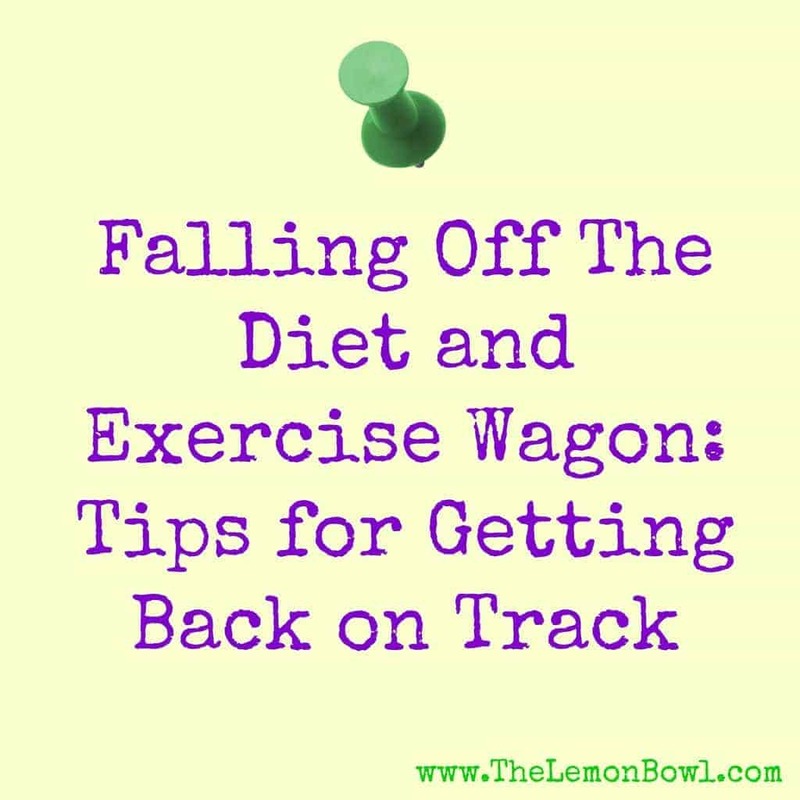 Divided into three sections, fitness, weight loss and nutrition, you will see a wide variety of topics covered ranging from meal planning to getting back on the wagon (after falling off!) and more. 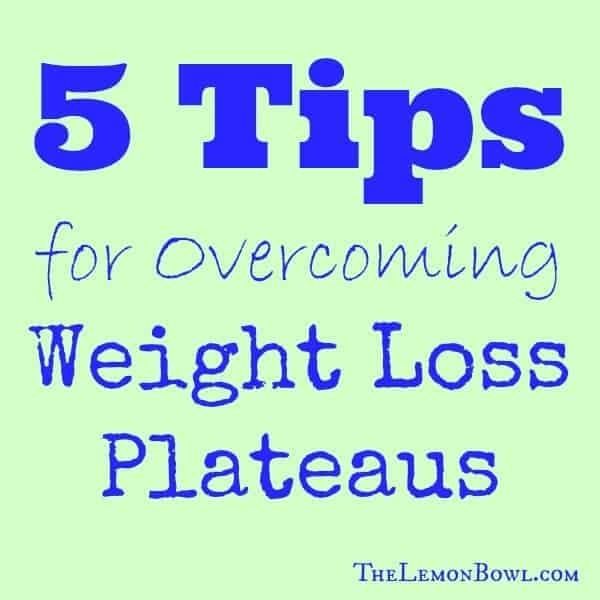 Plus, I share lessons learn from my own personal weight loss journey in the weight loss section. Let’s get started with the dreaded “e word”: exercise. As I shared in my weight loss success story, it wasn’t until I was 26 years old that I began exercising regularly. Despite having active friends, family and coworkers, I wasn’t ready to get active. Truth is – I was lazy. Believe me when I tell you – no one was more surprised than me when I became addicted to exercise. 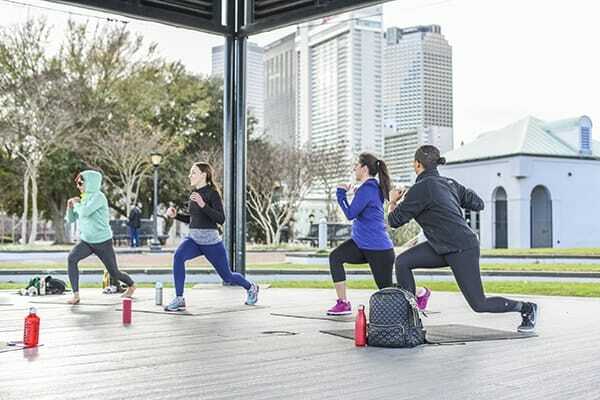 Ready to catch the exercise bug? 1. Start Slowly: My first introduction to exercise was at my local Curves. Requiring only 30 minutes, 3 days a week, it was the perfect low-risk solution to help me make exercise a regular part of my routine. They say it only takes 6 weeks to create a new habit and I found this to be true. 2. Put It In Writing: Every Friday after my weekly weigh-in, I create my workout schedule for the following 7 days. I literally add it to my calendar alongside doctors appointments, work deadlines and business meetings. By looking at the week ahead, you avoid the daily debate of whether you should workout, when you’ll find the time and, so often, the inevitable pushing it back to tomorrow. 3. Tell a Friend: My friend Kristin and I live hundreds of miles apart but every week we share our workout schedules with one another. 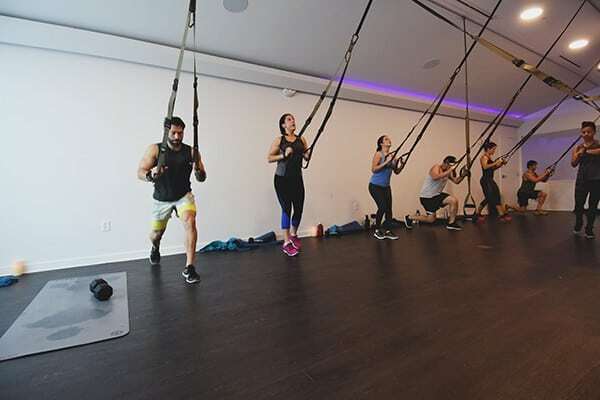 By doing this, we are able to check in throughout the week, asking how boot camp went or shooting a quick text on our way out of kickboxing class. It’s a great way to support one another and it also helps you stick to your schedule. 4. Do What You Love: If you don’t enjoy what you’re doing, you will stop after a few weeks. I learned this lesson the hard way when I trained for my first 5K. I got bored on the treadmill, ate way more calories than I burned and eventually burnt out and stopped. 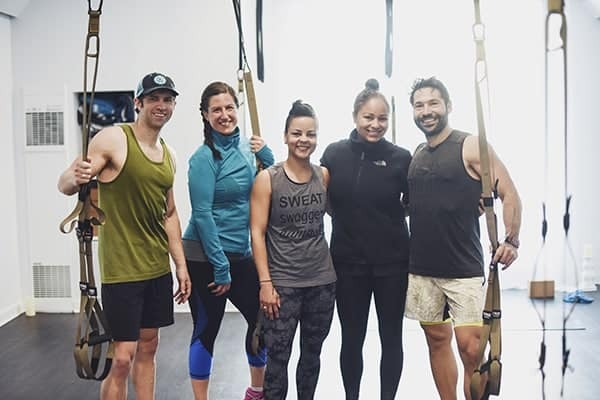 Fortunately, I soon discovered group exercise and quickly fell in love with the social nature of working out with others and thrived on instructors who pushed me past my limits. What do YOU love to do? My little sister loves taking her son for walks every morning. My friend Dara loves to run (read her great advice for running in cold weather!) My husband loves “climbing buildings” on the stair master and breaking his own records for number of stairs climbed. Whether you love to swim, dance, play with your kids or hit a tennis ball – find what you love and you’ll keep going back for more, I promise. 5. 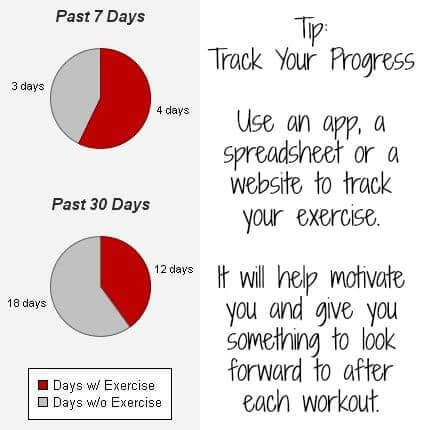 Track Your Progress: Whether you use an app, a website, a spreadsheet or a piece of paper – track your progress. When I used to go to Curves, I loved scanning my badge each visit and to see how many times I had been there that month. These days, I use MyFoodDiary.com to track my workouts and see how many calories I burned. I love watching the graph fill in with color every time I exercise. It is motivating and pushes me to keep going back for more. What is your favorite way to get moving? Share your best tips and secrets for keeping active! Your skinny jeans are waiting. Check out my healthy living Pinterest board to get you motivated! 60 Minute Cardio Playlist: Free Download! This is such great advice! 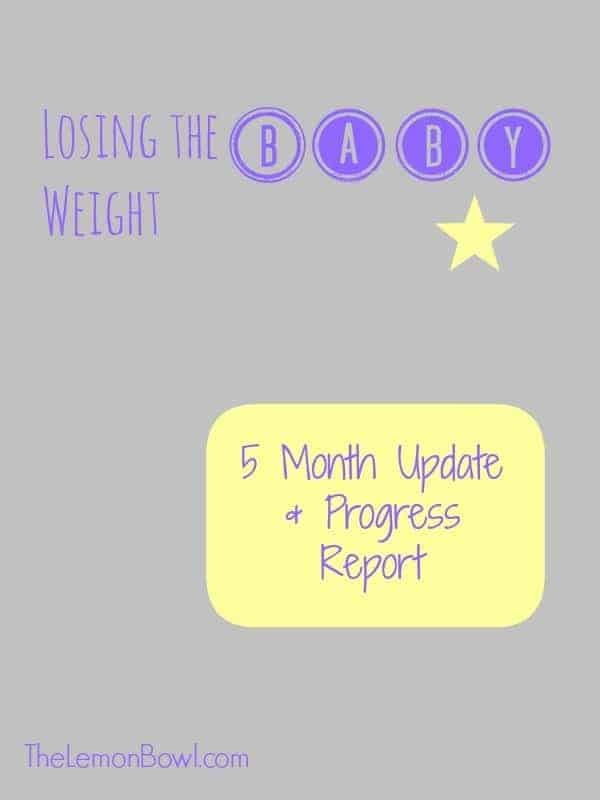 Im trying to get back into a routine post-baby and its so hard! Thanks for the helpful tips! Awesome tips! Great post indeed. Most people extremely hate the thought of exercising. It doesn’t have to be some sort of torturous activity you should loathe. It is something that most of us doesn’t like or don’t fairly understand how to get into it properly. I’m so glad you enjoyed the post! I completely agree with you! Oh man- Kick is so hard on the back. :( I really do love walking outside and I can’t wait for the weather to warm up!!! Thank you for reading friend. I MISS YOUR FACE! Can we play? And I can’t wait to see more Healthy Habits! Yaaaaay! Thanks so so much for this Liz! I just downloaded the app, I need this motivation. I’m so glad to hear Stefanie!! Keep me posted of your progress!! I really like riding my bike along the bike path in my neighborhood. I also like to walk around the lake at our local park. I am going to include this in my Case of the Mondays Favorites post today–hope that is ok!! I just link up to your site with a short description. Of course – thanks Julia!!! Have a great Monday! I love this Liz! I wish I had a buddy who I could trade workout plans with. I have really been struggling with being consistent with my exercise. I need to schedule it with myself. What a great idea!! My goal in 2013 is to make more time for working out–which is hard w/ a little one. I am sure you have lots of great tips since you did such a great job with loosing weight. I’m so glad Aggie and Cassie introduced you and your site to me! Looking so forward to this series and being a regular reader in 2013. I lost a LOT of weight two years ago… by healthy eating and exercise. I developed a LOVE of running and found it a great way to drop and then hold my weight. Unfortunately, two weeks before my first Half this past summer — I discovered my back stopped cooperating with my running and I had to stop. Since then I’ve stopped exercising and returned to crummy eating habits. I JUST got back on track two weeks ago. As I try to discover new ways to find enjoyment in exercising, I LOVE these tips! Great reminders!!! I’m so glad they introduced as as well, Kim! Oh man – you’ve had quite the journey!! Nothing worse than an injury to stop us dead in our tracks. I broke my foot a few years ago and couldn’t even walk for 6 weeks – it was the worst. Good for you for getting back into it 2 weeks ago!! Keep it up and keep me posted! hey I’m glad you two met. Kim did you know Liz is a Mitten girl? and lives right in my city?! Awesome eh!